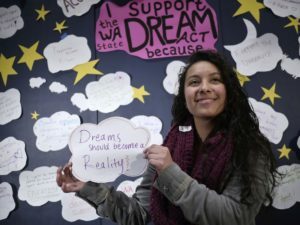 The Washington State House passed the Senate version of the DREAM Act last Tuesday*, and it is heading to Governor Inslee’s desk for a final signature today at 2pm before it becomes law. The DREAM Act is a much needed piece of legislation that will help countless undocumented students, by providing them fair access to state need-grant money. Nearly 12% of Washington State is Hispanic and over 250,000 people of that 12% were born outside of the country. Many of them were brought over as babies and toddlers by parents seeking to make a better life for them. And many would have graduated from Washington high schools every year with no real shot at a college education regardless of how hard they worked and how well they did in school. The financial barriers of rising tuition and textbook costs, not to mention living expenses, contradicted the widely held belief in our country that hard work and perseverance would get you ahead in life. The passage of the DREAM Act is a major step to remedying that. I hope that this news demonstrates to other states and national leaders that there is not only a need for reform and progress, but that it is also something people support. While this an incredible step forward for Washington and the young people of the state looking to continue their education past high school, there is still so much more left to do! A first step should be to send a quick thank you email to the legislature (with the help from our friends at OneAmerica) for putting aside politics and sending the DREAM Act to the Governor’s desk. But the fight doesn’t stop there! 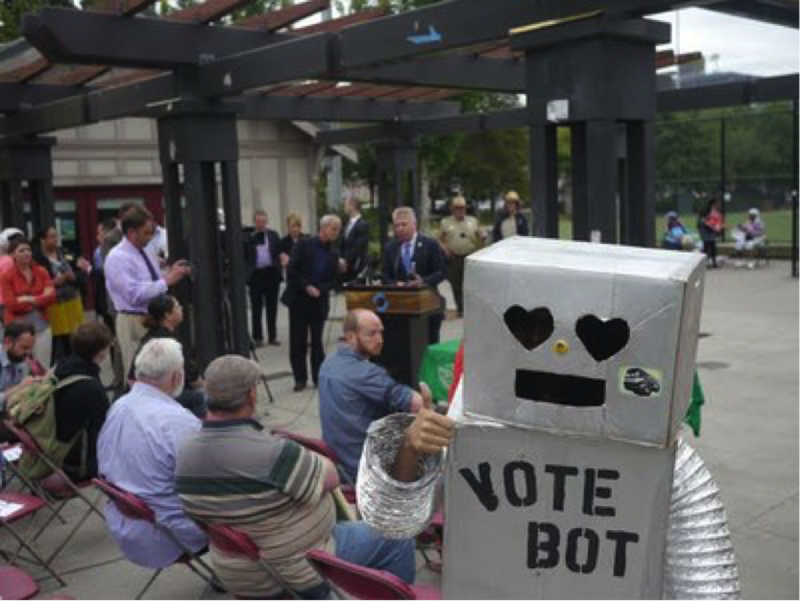 The bus and other awesome organizations are still working on making Washington a better place by pushing for motor voter registration for 16 and 17 year olds, extending voter registration deadlines (it could boost voter turnout by 85,000+ votes every year! ), and pulling out all the stops in support of the Washington State Voting Rights Act. Washington is going in the right direction and I hope that it keeps up the pace! 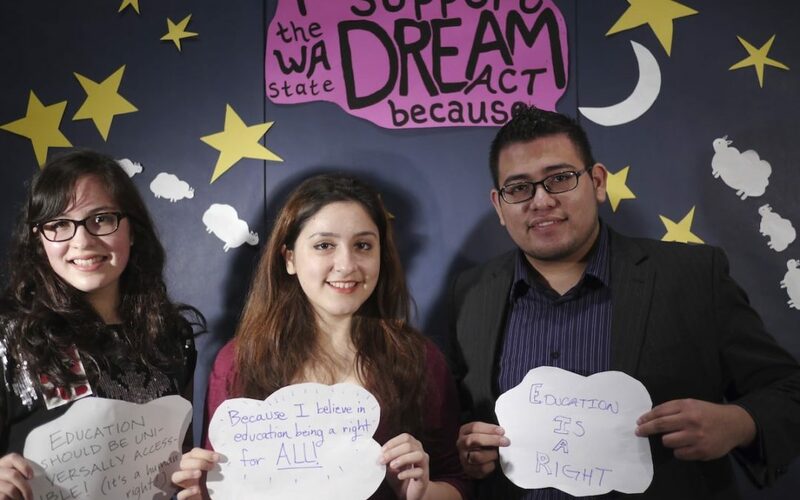 This blog post is written by 2013 Bus Fellow and UW Alumnus (c/o ’13) Michael Padilla.